Chaikovsky, Andrii [Чайковський, Андрій; Čaikovs'kyj, Andrij], b 15 May 1857 in Sambir, Galicia, d 2 June 1935 in Kolomyia. Writer, Galician civic and political leader, lawyer. Chaikovsky was a classmate of Ivan Franko. In 1883 he graduated from Lviv University, where he had been head of the student group Druzhnyi Lykhvar. 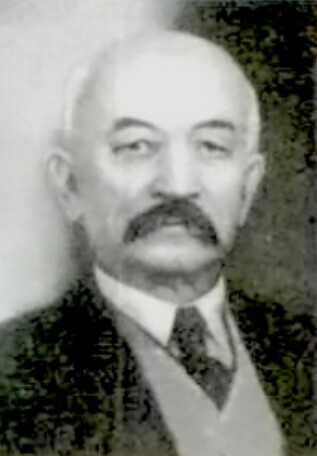 He was active in organizing Prosvita societies (and later became an honorary member), Sich societies, and the Vidrodzhennia society in Berezhany, Sambir, Rohatyn, and Kolomyia. 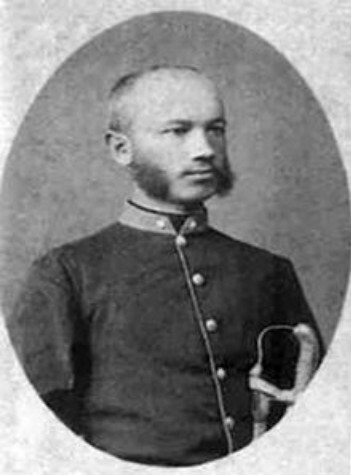 Chaikovsky was one of the organizers of the Ukrainian Sich Riflemen and in 1918–19 a county commissioner of the Western Ukrainian National Republic in Sambir. In 1924 he was elected president of the Society of Writers and Journalists in Lviv. He belonged to the National Democratic party and then to the Ukrainian National Democratic Alliance. As a writer Chaikovsky published two sets of memoirs—Spomyny z-pered desiaty lit (Memoirs from before Ten Years, 1894) and Chorni riadky (Black Lines, 1930); a number of collections of short stories—Obraz honoru (The Insult, 1895), Khto vynen? (Who Is to Blame?, 1920), Krashche smert', nizh nevolia (Better Death than Enslavement, 1920), Ne dlia vsikh vesna zeleniie (Spring Is Not Green for Everyone, 1920); and novels depicting Galician life—Oliun'ka (1895), V chuzhim hnizdi (In Another’s Nest, 1896), Brazyliis'kyi harazd (Brazilian Prosperity, 1896), Malolitnyi (The Minor, 1919), and others. Chaikovsky’s historical novels about the Cossacks were written in a romantic style and had an important influence on the national consciousness and outlook of young people; they include Za sestroiu (In Search of My Sister, 1907), Viddiachyvsia (Avenged, 1913), Kozats'ka pomsta (Cossack Vengeance, 1919), Na ukhodakh (Escapees, 1925), Oleksii Korniienko (1924–9), Do Slavy (After Glory, 1929), Polkovnyk Mykhailo Krychevs'kyi (Colonel Mykhailo Krychevsky, 1935), and Pered zryvom (Before the Upheaval, 1937). In his novels and stories Chaikovsky idealized the Zaporozhian Cossacks.